The 1ST quarter of the year has come to an end and what a time it has been. 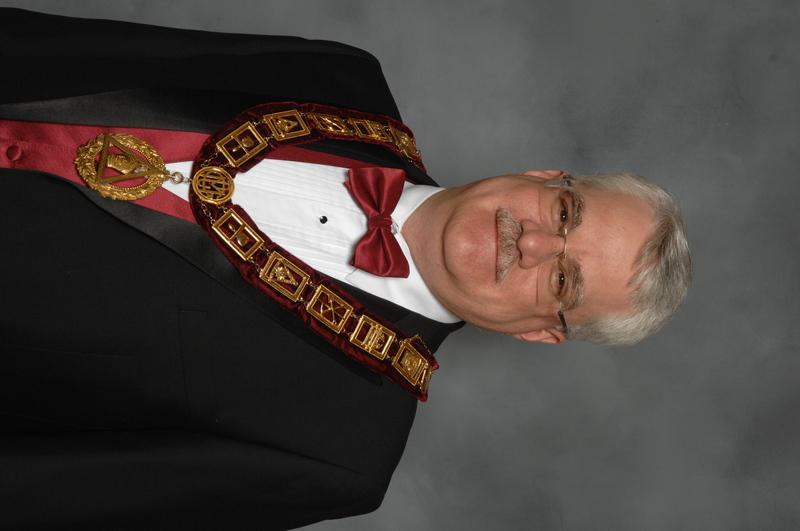 January was non-stop representing Royal Arch at their Installations. Since 2006 the Grand Chapter has been presenting Master pins to new Master’s of Lodges in Maryland. I thank all the Companions who presented pins in January. These pins are desired by the new Master’s and they appreciate the efforts of the Grand Chapter. January also marked the passing of Most Excellent Past Grand High Priest Royce A. Watson. Royce was a very active and dedicated Mason. 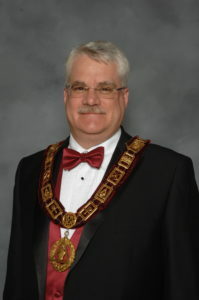 He was elected to numerous top positions within the Masonic bodies, notably Past Master of Pentalpha Lodge #194, Potentate of Almas Shriners; Most Excellent Grand High Priest, Royal Arch Masons of Maryland; Illustrious Grand Master, Royal and Select Masons of Maryland; Right Eminent Senior Grand Warden, Grand Commandery of Maryland; and Illustrious Thirty-Third Degree (33′), Inspector General Honorary, Scottish Rite Masons. We offer our condolences to Royce’s wife Christine and his entire family. February we introduced a new activity, The Grand King’s Bowling Tournament. This tournament was held in conjunction with Maryland DeMolay. The event was well attended and our Grand King, Bruce Colburn did an outstanding job putting this tournament together. Hopefully, next year it will be even better. Our Grand Secretary MEPGH, Vern Huebschman held another administrative officer seminar in February. Much information was given and great discussion ensued. When asked if another seminar should be held in two years, the response was to have it again next year. Plans for next year’s event have already begun, so keep a lookout for the date and time in 2020! March was a busy month too, representing Maryland at other Jurisdictional Sessions, Grand Visitations, and a number of Grand Lodge events. Maryland Royal Arch has been there and making our presence known, not only by this Grand Line, but by many of our companions. I urge all Royal Arch Masons to attend the Semi-Session 2019. This session is open to all RA masons and is an excellent way to find out directly what the Grand Chapter is doing for you and Maryland Royal Arch. It is also a good way to meet the companions from other chapters and exchange ideas that you can use and share with your home chapter. Grand York Rite Bodies of Maryland.